CUSP: Designing into the Next Decade looks at the vision of 12 Australian designers who concern themselves with deeply human issues that effect our lives. This education kit is suitable for students in stages 5 and 6. Download the smaller browser-friendly version of the CUSP education kit. 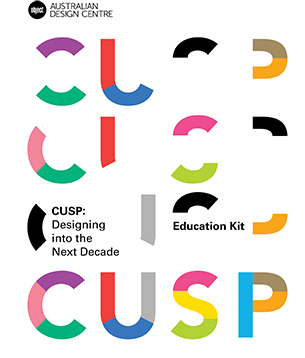 Download the print version of the CUSP education kit from the Object website.